Oh, YoGymBo©, my very own purpose-built training facility! How I wish I could overcome the laws of science, practicality and building regulations that prevent me from teleporting you 400 metres down the road and bolting you onto the side of our bijou one-bedroom flat. But I can’t, for while I secretly like to pretend that the scope of my iPhone’s usefulness is a bit like that of a sonic screwdriver, I fully realise that it is not yet capable of “beaming up” matter and transferring it to a designated point. So, faced with the limitations of technology, I have packed your equipment away ready for our long-awaited move, now that the evil presence of dry rot has been vanquished from our home. And the dismantlement means you, YoGymBo©, are no longer a combined yoga area, gym facility and turbo room. 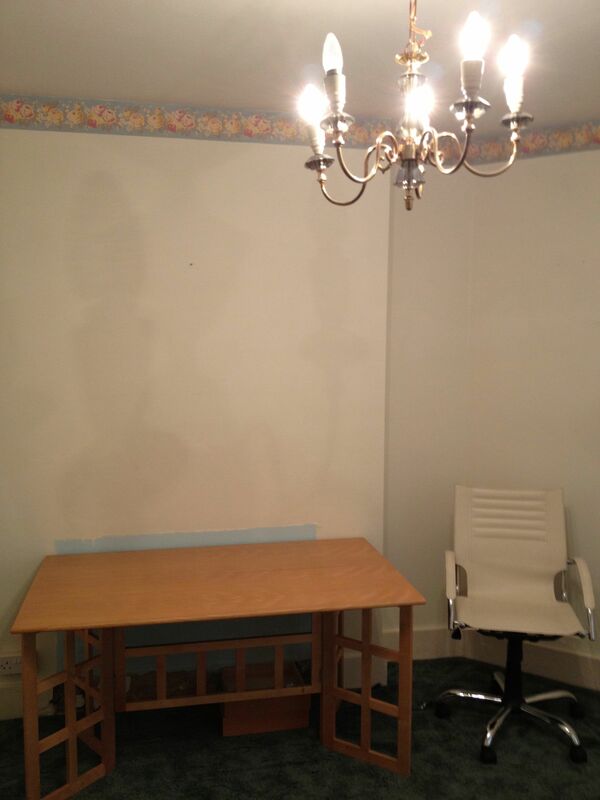 You are now just a dining area with a swirly, slightly outdated carpet and a fold-up table. But myself and Littlejen shall remember you for what you once were: an innovative home fitness solution for lighthearted couples everywhere. With a candelabra. We shall never see your like again. This entry was posted on	February 10, 2012 at 2:32 am	and is filed under Uncategorized.